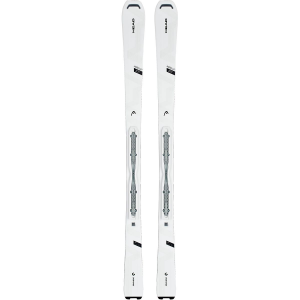 As the slimmest ski in Nordica's Santa Ana Fleet, the Women's Santa Ana 93 Ski is a great choice for ladies who love to rip down pristine groomers, but desire the freedom to venture to the backside on occasion. 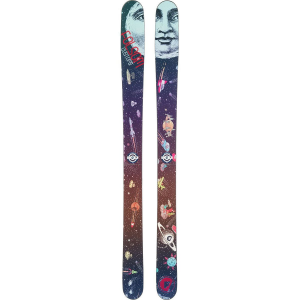 The 93-millimeter waist is nimble and fast on hardpack and corduroy, but won't leave you thinking you brought the wrong skis when an unexpected storm dumps a foot of fresh. 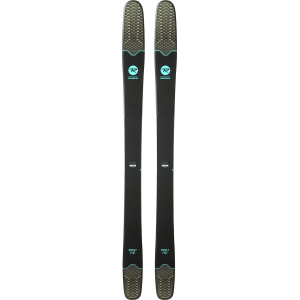 Thanks to the early rise tip and tail, each turn you make is easy to initiate and easy to release for a smooth, maneuverable feel, while underfoot camber enhances edge grip for confidence and control. 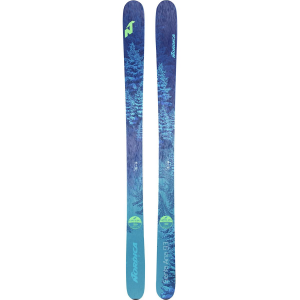 A lightweight wood core sandwiched in between layers of carbon and Titanal gives the Santa Ana 93 a perfect blend of pop, stability, and edge-to-edge power transfer for a smooth, stable ride. And, to top off this balanced package, an impressively short turn radius means you can dance through tight trees and down wide open bowls with effortless agility.